[163 Pages Report] on CF & CFRP Market are the key elements of advanced composites materials. The global CFRP market was valued at USD 20.44 Billion in 2016, and is projected to grow at a CAGR of 10.50% between 2017 and 2022. The year 2016 has been considered as the base year for company profiles. Whenever information was unavailable for the base year, the years prior to it have been considered. Secondary sources, such as company websites, encyclopedias, directories, and databases have been considered to identify and collect information that is useful for this extensive commercial study of the global CF and CFRP market. Primary sources, which include experts from related industries, have been interviewed to verify and collect critical information as well as to assess the future prospects of the market. The top-down approach has been implemented to validate the market size, in terms of value and volume. With the data triangulation procedure and validation of data through primaries, the exact values of the overall parent market size and individual market sizes have been determined and confirmed in this study. The market for CFRP has a diversified and established ecosystem of its upstream players, such as raw material suppliers, and downstream stakeholders, such as manufacturers, vendors, end-users, and government organizations. Major players in the CFRP market have carried out backward and forward integration to strengthen their position in the prevailing market. Some of the major raw material suppliers as well as manufacturers are Toray Industries Inc. (Japan), Teijin Limited (Japan), and Mitsubishi Rayon Co. Ltd. (Japan). This study answers several questions for the stakeholders, primarily which market segments to focus on in the next two to five years for prioritizing efforts and investments. These stakeholders include carbon fiber manufacturers, such as the Toray Industries, Teijin Limited, Mitsubishi Rayon Co. Ltd., and SGL Group (Germany). 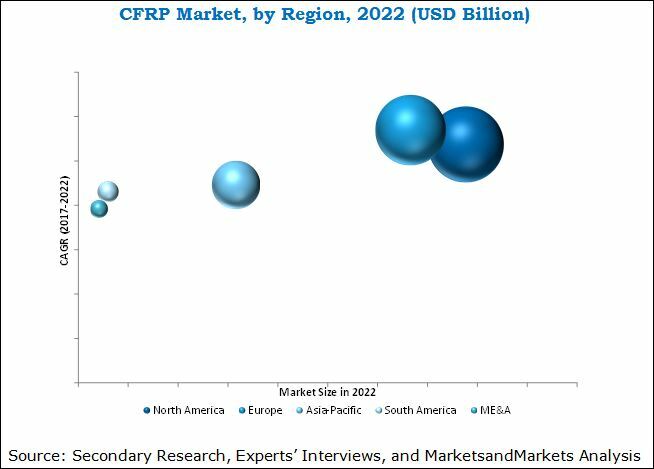 This research report categorizes the CFRP market based on end-use industry, resin type, manufacturing process, region, and the CF market based on raw material. The global market for Carbon Fiber Reinforced Plastic (CFRP), in terms of value, is projected to reach USD 37.19 Billion by 2022, at a CAGR of 10.50% between 2017 and 2022. In terms of volume, the global market for CFRP is projected to reach 210.19 kilotons by 2022, at a CAGR of 12.50% during the same period. 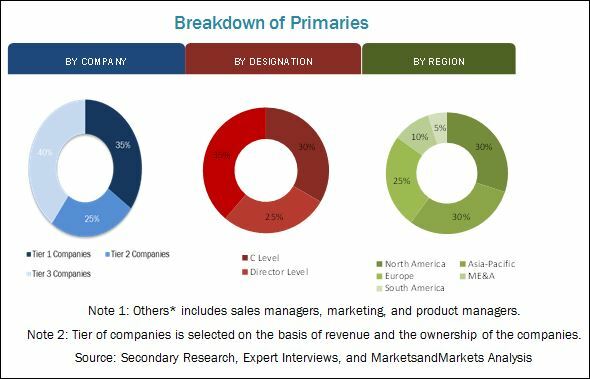 Increasing number of patents filed for CFRP products and applications by global players, growing manufacturing industries, and continuous agreements, joint ventures & collaborations, and expansion activities undertaken by companies are the key factors driving the global market for CF & CFRP. Pitch-based carbon fiber is expected to be the fastest-growing raw material type segment in the CF market, as these fibers have ultra-high elastic modulus, which are extensively used in high stiffness components, and have various advantages, such as high thermal and electric conductivity. Additionally, the thermoplastic composite is expected to be the fastest-growing resin type segment in the CFRP market. Thermoplastic resin, as a matrix material, can be reshaped and reformed unlike thermoset resin. The composite formed is also easily recyclable. The automotive application segment of the global CFRP market is projected to grow at the highest CAGR between 2017 and 2022. This can be attributed to the growing needs of lighter, safer, cleaner, and more cost-effective vehicles. Several car companies, such as BMW (Germany), Audi (Germany), and GM (U.S.) have signed high-level agreements with carbon fiber composite material producers. High-end vehicles are incorporating carbon to make one-piece car frames that will drive the CF and CFRP market in the automotive industry. The North America region is expected to lead the CFRP market, in terms of value, between 2017 and 2022. This growth can be attributed to the rising demand for superior performance products in the aerospace & defense industry, demand from Medium-Duty Vehicle (MDV) and Heavy-Duty Vehicle (HDV) for type-II and type-III CNG cylinders, ease of availability of raw materials for CFRP, and increasing adoption of expansions and other developmental strategies in the region. The market for CF and CFRP is rapidly growing. However, few factors act as restraints for the growth of the global CFRP market. These factors are limited production capacity, high cost of carbon fiber, and no major breakthrough in research and technology of CFRP. Companies, such as Toray Industries Inc. (Japan), Teijin Limited (Japan), Mitsubishi Rayon Co. Ltd. (Japan), SGL-Group (Germany), Formosa Plastics Corporation (Taiwan), and Hexcel Corporation (U.S.) are the dominant players in the global carbon fiber and CFRP market. They have been adopting various organic and inorganic growth strategies, such as agreements, joint ventures & collaborations, expansions, mergers & acquisitions, and new product launches, and technology developments to enhance their position in of the CF and CFRP market. 13.11 Taekwang Industrial Co. Ltd.
13.16 Kemrock Industries and Exports Ltd.
13.25 Aeron Composite Pvt. Ltd. Figure 7 Lay-Up is Expected to Be Fastest-Growing Manufacturing Process in CFRP Market in the Forecast Period.